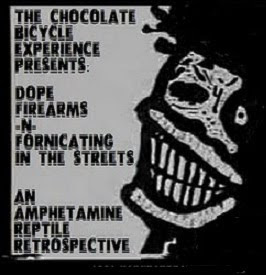 I will ride my Pee Wee Herman bike up to the chocolate bicycle van for free candy! I'm downloading what says is the new Helmet-Seeing Eye Dog. Will have to listen to it to see if it is the band that was once part of the am rep stable of stallions. Well I un-rared it and turned off 'Idlewild South' it sounds like the Helmet we know and love with a different singer!